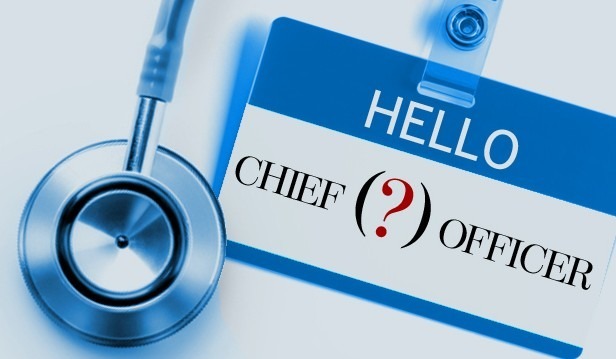 Of all the changes brought on by healthcare reform, perhaps one of the most interesting is the evolution of the role of the chief medical officer (CMO). The implementation of the Affordable Care Act (ACA) puts hospitals and health systems at more financial risk when it comes to care costs and quality. Organizations with a physician executive model are utilizing experienced chief medical officers with the right temperament to implement the changes needed to succeed in this new and unpredictable healthcare environment. However, it’s not easy to identify, hire and retain a leading CMO. This is why many hospitals and healthcare systems are looking towards external recruiters to find not only the best talent, but the right talent for their organization’s unique needs. CMOs are typically the overarching physician in charge at most hospitals, however, both biotech and pharmaceutical companies also hire CMOs. Boards of directors are now focusing the same amount of energy on quality patient outcomes as they are on financial performance. As a result, there has been a shift toward a number of new medical staff models (led by CMOS) to help address patient safety, reliability, cost containment and accountability. Moreover, there is a need for physician leadership education, development and training. Typically, these staffing models are spearheaded by a dedicated CMO who focuses on driving quality and improving patient outcomes for the organization. CMOs are seeing their roles expand significantly. Traditionally, CMOs were primarily responsible for managing medical staff and physician leaders, essentially serving as a staff liaison to administrators. However, today the role is becoming more operational and strategic with a focus on hitting quality targets and efficiency, strategic planning, long-range forecasting and decision analysis, according to a Spencer Stuart white paper. CMOs are regarded as critical team members at both hospitals and academic medical centers; they help to create a strategy to drive the operational performance of their organizations. Facing the changes that came with the ACA, it is also the job of the CMO to find cost-effective ways to implement new care delivery models and analyze changing payment methodologies. Some would argue that healthcare organizations need top CMOs now more than ever. Driven by emerging priorities and a necessary shift towards a more strategic approach and larger scope, the need for a new type of CMO is a response to changing demands within the healthcare field. Today’s CMOs are more outwardly focused and marketing savvy than ever. They need to have excellent communication skills to collaborate effectively with both internal and external stakeholders. Their understanding of health care delivery is now more broadly-based and extends far beyond the hospital setting. Their orientation has shifted towards understanding the field’s changing economics and focusing on customer services and patient satisfaction. One of the most important responsibilities for CMOs is navigating and leading in care transformation efforts. Market changes have incentivized cost reduction and affected quality outcomes. While yesterday’s systems revolved around hospitals that treated patients with acute illnesses. The systems of today and tomorrow will encompass a more full continuum of care and expand beyond the hospital to provide more complete, consistent and comprehensive care. To evolve into these new roles gracefully, these new systems are increasingly relying on CMOs and other senior physician executives to set the tone and lead enterprise-wide initiatives. Despite the changes spelled out in the ACA, CMOs are getting creative to continue treating patients well, determine the right diagnoses and achieve excellent ratings for patient satisfaction. The medical field has been turned upside down due to the fact that hospitals are no longer reimbursed for the volume of admitted patients. Instead, they are reimbursed for their efforts to keep patients from being admitted. CMOs have to ensure that their organizations remain prepared for future changes not only to stay ahead of the curve, but ideally, become a market leaders as well. Finding a top-caliber CMO isn’t easy, as there are dozens of organizations recruiting from the same talent pool. Given this reality, how are healthcare organizations building leadership teams that have both the capabilities they need today and the capabilities they’ll need tomorrow? Largely, hospitals and healthcare systems are utilizing a combination of external recruiting resources and leadership development and training. To determine what the needs of your organization are, consider analyzing capability gaps and try to build an executive team to address them. If your organization is like many experimenting with different approaches, it’s important to find a CMO that can lead the transition to new processes smoothly. Through selective hiring and training, you can find a CMO that has the expertise you need and is also a cultural fit based on the traits that match the direction that your organization needs to move in. Before addressing your CMO search, consider evaluating the composition of your board of directors and determine whether it truly includes representatives with the most relative experience. To select the right CMO, it’s important that your board champions the culture of your organization and has a diverse array of expertise. If you’re in need of a new CMO, Healthcare Recruiters International is the industry’s first choice for executive level healthcare leadership searches. With the help of our recruiting specialists, you can find the finest healthcare leadership in the world and gain an advantage over your competitors. We understand that broad leadership skills are needed and are well versed in the critical competencies that are required for senior leaders. As healthcare continues moving towards the next chapter, hospitals need to put in place the structures, processes and teams to compete in America’s new value-based healthcare model. To be successful, it’s critical that healthcare organizations recruit only the finest leadership.